In an age when “spin” is the national pastime and a culture where scandal is so common it has become boring, there is an almost unprecedented need for emphasis on traditional values and undiluted ethics. It’s here in this collection of articles from many of Judaism’s distinguished rabbinical and lay leaders. 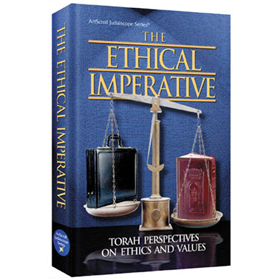 From such eloquent voices as Rabbi Shimon Schwab and Rabbi Avraham Pam to little-known laymen who have elevated the marketplace by their behavior, this collection of essays from the Jewish Observer offers solid food for thought and guides for conduct. Read this book and you’ll agree — and be proud of it!